Sometimes, being a sports fan can be tough. Everyone knows the heartbreak of losing a key playoff game, a surprise injury landing your star player out for the season, and, the most difficult of all, trying to watch your team play when you don’t have a cable subscription. If you’re a Baltimore Orioles or Washington Nationals fan, you’ve experienced this feeling far more than most other baseball fans. The Mid-Atlantic Sports Network (MASN) has been locked behind an expensive cable contract for years and ownership refuses to budge. In fact, they’re moving in the opposite direction! Thankfully, there are still a couple of ways to stream the Nationals and Orioles games on MASN without cable. However, in true MASN fashion, it’s not that simple. The best way to stream MASN is to use MLBTV with a VPN like NordVPN to get around blackout restrictions. Keep reading below to learn exactly how to set everything up. Should I watch MASN on MLB.TV or Instant TV? Streaming MASN and MASN 2 without cable is possible, it’s just unnecessarily difficult. With an estimated 10 million additional cord cutters in 2018, you’d think MLB teams would be jumping on board streaming services to help get games in front of their fans. Unfortunately, MASN’s owner is also the owner of the Orioles and refuses to sell game rights to streaming services like fuboTV or DirecTV Now. This means that the typical go-to services aren’t going to offer MASN and we’ll have to get creative. Even if you’re already a subscriber Sling TV, PlayStation Vue, or any of the other streaming services, you’re going to have to spend a few extra dollars a month to watch MASN without cable. MLB.TV is Major League Baseball’s own streaming service and is currently the best way to stream MASN without cable. MLB.TV has two separate packages based on how much baseball you watch. If you’re a baseball fan who likes to watch multiple teams throughout the year, they offer their MLB.TV Premium package for $115.99 for the entire year (comes out to $9.66 per month). If you don’t plan to watch MLB games outside of your team, you can save a bit of money and instead subscribe to their Single-team Package for $89.99 a year (comes out to $7.49 per month). Please note, these prices were for the 2018 season and we will update them if they change for next year. Although this sounds like a fantastic (and pretty cheap) way to watch the Orioles or Nationals without cable, that would be too easy. MLB.TV will allow you to watch Orioles or Nationals games that are away games, but both the MLB.TV Premium and Single-team Packages are subject to blackout restrictions for home games. If you’re not familiar with blackout restrictions, they’re the bane of cord cutters everywhere. An archaic business model that survives on cable TV greed alone, blackout restrictions prevent services from playing any in market game. What this means is if the Baltimore Orioles are playing at home, you can’t watch the game with either of MLB.TV’s packages…..technically. An important feature of MLB.TV is that it allows you to use the service no matter where you connect from. If you’re on a business trip across the country, you can log in and watch an Orioles home game without any blackout restrictions. The reason for this is that you’re no longer in-market and MLB can’t possibly expect you to go see the game in person and the local stations wouldn’t be playing an Orioles game. If you’re not planning on taking a business trip every time the Orioles or Nationals play at home, there is still a way to get around MLB.TV’s blackout restrictions. This is where VPNs come in. A VPN is a Virtual Private Network and basically allows you to connect to a computer in a different location before connecting to a webpage. 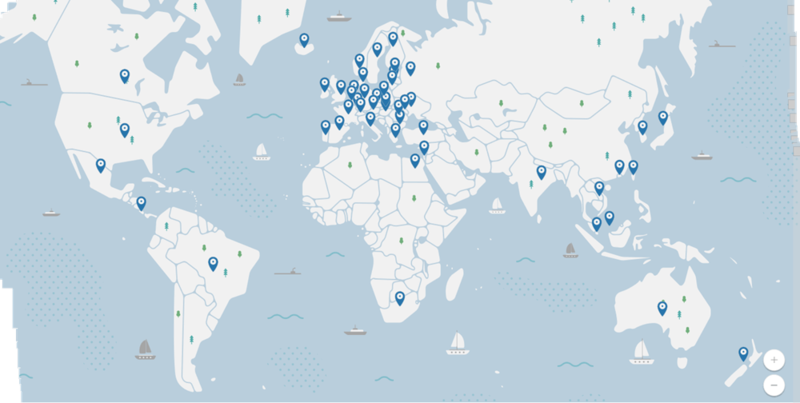 Each VPN have servers in a variety of locations that you can connect to; some across the United States and others spread around the world. They’re completely legal and used by millions of people and business alike. There are couple major reasons that most people use VPNs. The first is for security purposes. Since your traffic is routed to a server in another part of the world, your location and traffic is encrypted and difficult to trace back to you. Another reason is to connect to a local server to access files stored on a shared drive for businesses and their employees. Although you might not care about securing your traffic or accessing documents, the location masking is important to us. If we can convince MLB.TV that we’re streaming from across the country we won’t have to deal with any blackout restrictions. The first step to bypassing MLB.TV games with a VPN is to sign up for a VPN service. There are a lot to choose from and each offers a varying amount of security, server locations, and price. Our VPN review guide discusses the merits for a few different brands, but our ultimate favorite is NordVPN. A quick Google search will show you a lot of free VPNs, but we try not to recommend them as their security is questionable and they’re typically much slower than paid VPNs which can cause games to buffer. Part of the reason we recommend NordVPN is because of how easy their setup is. They have iPhone, Andoird, PC, and Mac apps that only take a couple of minutes to set up. You simply launch the app, login, and choose a server location that you want to connect to. 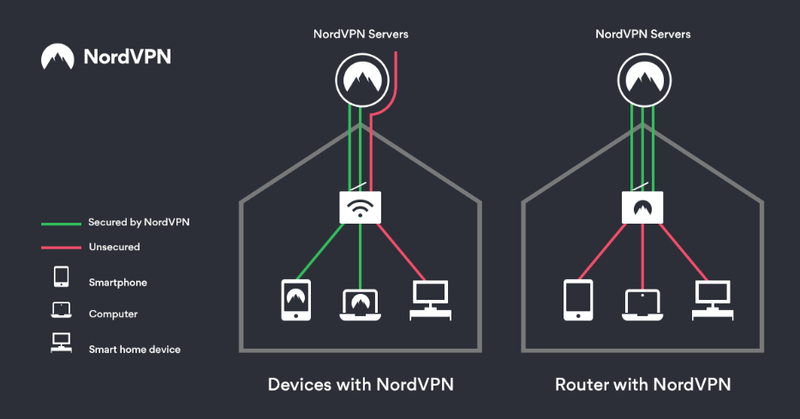 Although the apps are great for your phone or computer, you will have to install NordVPN on your router if you plan to watch games on your streaming devices, but NordVPN has a really well written tutorial outlining the setup. Not only is Nord really easy to set up, they also offer a 30-day money back guarantee. While not technically a free trial, being able to get a full refund if you’re not enjoying or can’t figure out the service helps to put the service over the top. If you choose the 2 year plan, NordVPN only costs $3.29 a month. 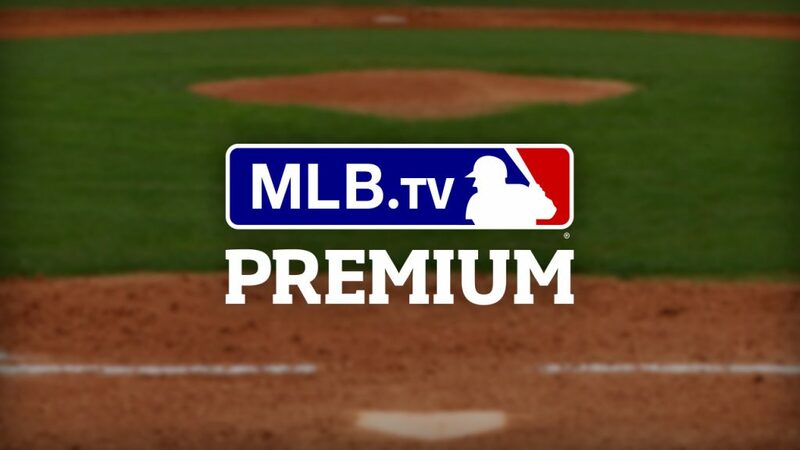 If you add that to MLB.TV’s Premium subscription, you can watch the Orioles or Nationals all season for only $11.50 per month including blacked-out games. 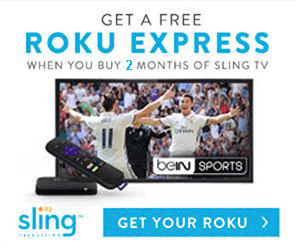 That’s cheaper than almost every streaming service on the market even if they did offer MASN without cable! If you can’t connect to MLB.TV on NordVPN there are a couple of known “issues”. The first is that sometimes you can’t connect to MLB.TV at all. To fix this, try connecting to server 1821 and then try accessing MLB.TV again. If you’re on a mobile a device and server 1821 doesn’t work, it might be because of location tracking. Try turning off location tracking on your mobile and device and see if that works. The second way to watch MASN without cable is one that we grit out teeth while recommending. Comcast, everyone’s favorite cable company, has started to offer MASN as part of their recent “Instant TV” service. Instant TV is sort of a streaming service and cable contract hybrid and we’re not excited to recommend it. If it wasn’t one of only two ways to watch MASN when you don’t have cable, it likely wouldn’t even mention it. Instant TV is Comcast’s app-based TV service that streams channels rather than running them through wires and cable boxes. The billing and pricing model is a little weird compared to most streaming services and needs a thorough explanation. The first, and most frustrating part of Instant TV’s model is that you must have Xfinity internet. If you’re not already an Xfinity subscriber, you need to figure out how long until your current internet contract is up for before you end up having to pay a termination fee plus the cost for Xfinity internet. If you already are an Xfinity subscriber, you’ve successfully completed step 1. The second frustrating part is that you need to have a contract-based TV subscription from Xfinity on top of your internet. Thankfully you can just get their basic TV plan for $5 more a month that gives you 10 channels that are mostly local stations and Discovery Channel. 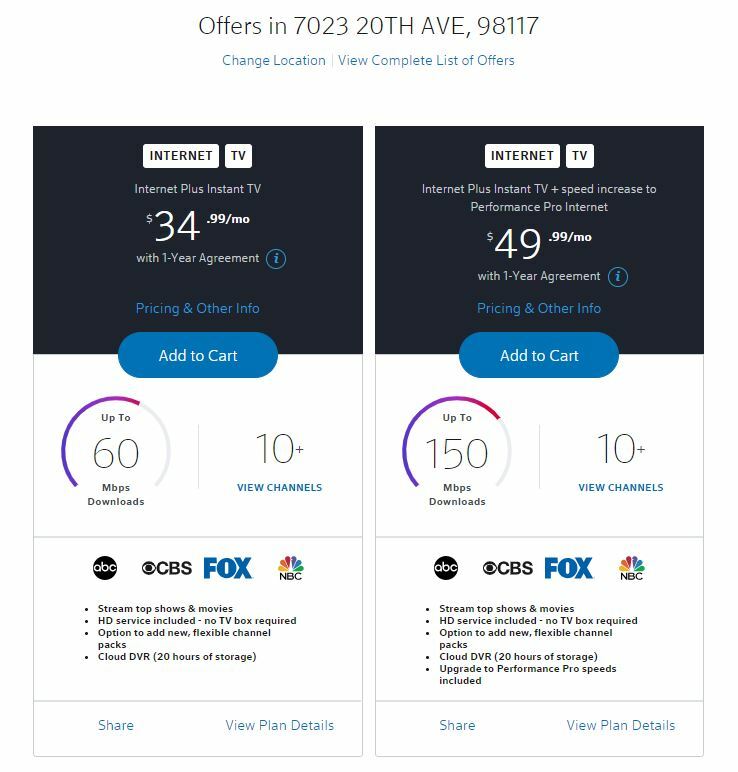 To view the different internet speed and channel options, you can use Xfinity’s offers page to compare their packages. Make sure you change the sort function to show the cheapest options first! Now that you have an internet+basic TV subscription from Xfinity, you are finally allowed to purchase their “streaming” service. 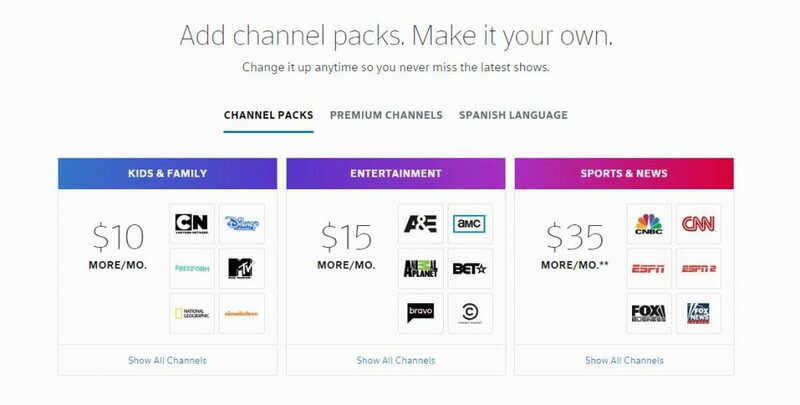 These are basically just addon packages for your current package that can be added to or subtracted from your monthly bill. These packages add or subtract cost per month, but aren’t technically part of your contract. Their packages start at $10 a month for the “Kids and Family” package that offers 10 channels including nickelodeon and Cartoon Network. For $15 a month you can get their “Entertainment” package with 27 total channels like A&E, HGTV, FX, and SYFY. The package we really care about for MASN is the sports package. 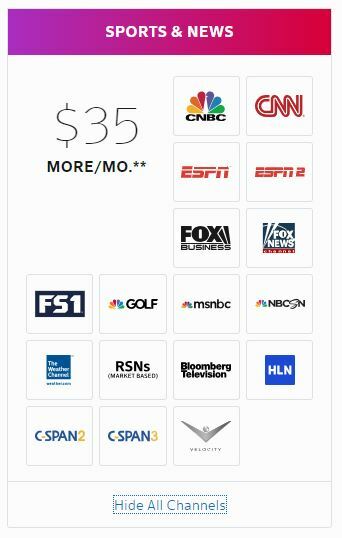 It costs $35 a month and includes MASN, MASN 2, NBC Sports Washington and a handful of other channels. The package lineup is shown in the image below, but only shows “Regional Sports Networks” instead of specifically noting MASN. However, MASN is included in the regional sports network list. One other factor that is important to note in your decision between Xfinity Instant TV and MLB.TV is that you cannot watch MASN on Instant TV if you’re not on your home network. If you try and watch MASN on an Xfinity app while you’re not on your home network it will display the channel as unavailable. If Xfinity offers comparable internet that costs the same as what you’re currently paying, the total to watch MASN on Xfinity Instant TV is $40 per month. ($5 for the added basic TV and $35 for the sports package). Although quite a bit more than MLB.TV, you do have the added benefit of getting additional channels for the cost. Overall, the decision to watch MASN without cable on MLB.TV or Instant TV is going to hinge on the limitations in place by Xfinity. If you’re not already an Xfinity subscriber, don’t want other channels besides MASN, or plan to watch it away from your home network the decision to go with MLB.TV to watch MASN is a given. It’s the cheaper service, is directly connected to the MLB, and doesn’t lock you into expensive contracts. Plus, you don’t have to deal with Comcast! This is an awesome tip especially when I’m already a long time user of NordVPN. Will test this out tonight and I really hope it will be working! This is a sorry state of affairs. As. Nationals fan this is more reason to dislike the Orioles. It’s pretty aggravating that MASN is as near-sighted as they are. There’s a gold-mine of money they COULD be making within their substantial (massive, enormous, gigantic) blackout footprint.